If you’re a frequent visitor of my blog, you would know that I’m a drugstore girl at heart. I love finding good quality products that work just as well or even better than their more expensive counter parts. Sometimes though, I find higher end products that I fall in love with and I truly feel are worth the price. 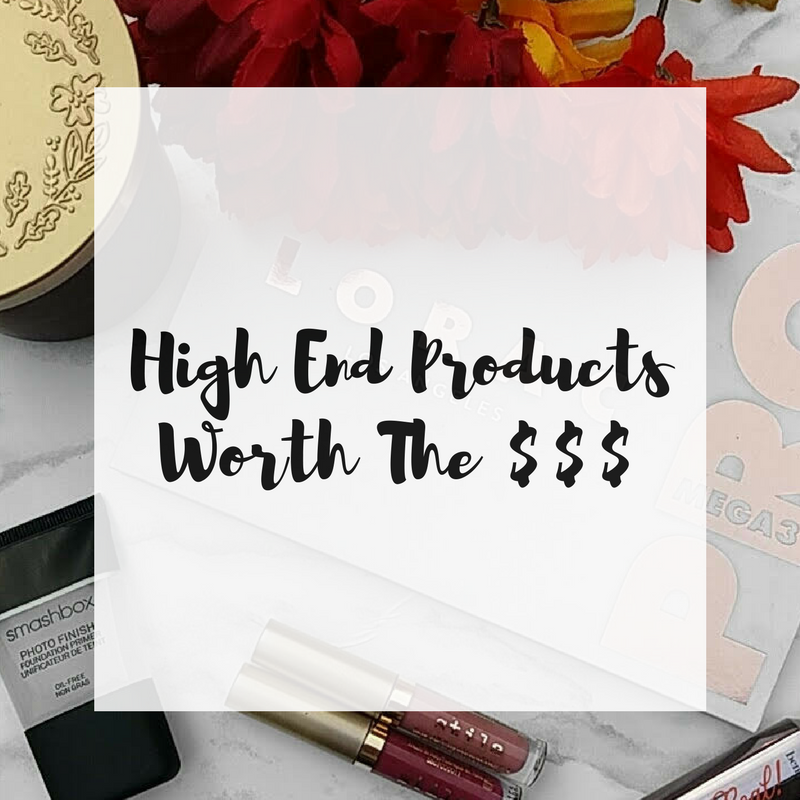 Here are some of my high end products that are definitely worth the splurge! This eyeshadow palette is expensive, no doubt about that, but the quality makes it worth it. 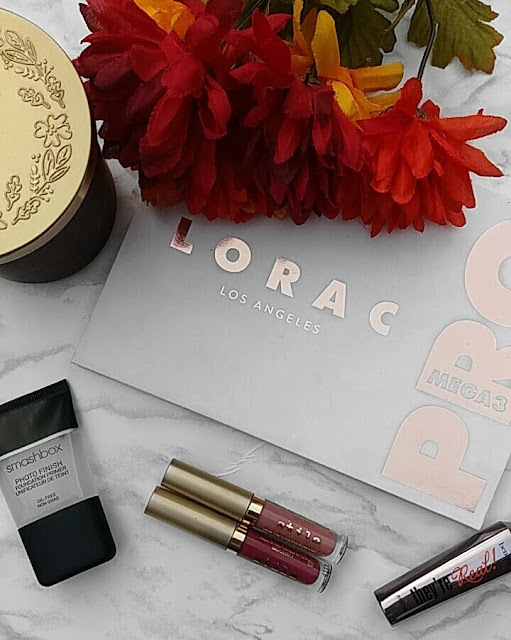 The Lorac Mega Pro 3 Palette costs $59, so once again, it’s obviously on the pricier side, but you get 32 matte and shimmer shades that are not only stunning, but pigmented and blend easily. The other thing that makes me put this palette on this list and not other high-end palettes, is the consistency. Every single shade in this palette performs well, not like other palettes where you’ll usually find some duds. This is my go-to foundation primer and has been for a long time. I have yet to find a primer I like more than this one, and I’ve tried loads of drugstore and high end ones. It’s $36 for 1 oz, which is expensive, but a little goes a long way and I don’t have to buy a new one too often. It fills in pores and creates the perfect, smooth base for foundation. I hate buying expensive lipstick because the drugstore has so many affordable options that work just as well and sometimes even better. The Stila Stay All Day Liquid Lipstick, however, is one of the few high end lipsticks that I actually love. There are so many gorgeous colors in the line, they feel amazing on the lips (not too drying), and they really do last all day! I used to think all mascaras were pretty much the same, until I tried this one out. This is now my favorite, go-to mascara. It makes my lashes look amazing! I’ve been dealing with some really obnoxious acne for the past couple of months, nothing horrible, but enough to annoy me and way more than I’ve ever had in my life. I tried everything at the drugstore and just when I was about to go to the dermatologist, I found a Mario Badescu trial size kit specifically for acne at Ulta. It includes a cleanser, a toner, a mask, a moisturizer and a drying cream that’s used as a spot treatment. Every single product in this kit works amazing and I saw results within a few days. This is an expensive brand but it works so well that I’ll probably only be using skincare products from them for the rest of my life. I’ve been recommending these products to everyone I know because although expensive, I think investing in good skincare is one of the most important things you can do. Those are my favorite higher end beauty products. I would never recommend anything to anyone, especially if it’s expensive, unless I was totally in love with it and I can say, without a doubt, that I love every single one of the products listed above. What are some of your favorite high end products that you think are worth the splurge? Let me know in the comments!